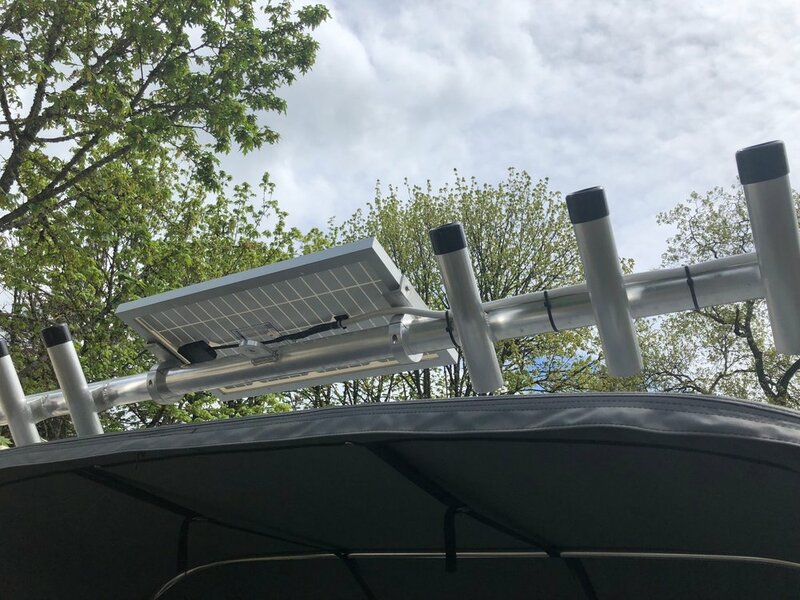 We rarely work on boats because we are so busy with RVs, but a friend needed some power before a fishing trip and we were able to squeeze him in last week. Prior to coming to AM Solar we had directed him to a 30W panel on Amazon.com since we didn’t have anything small enough in our inventory at the time. The client also supplied the rings to attach the bar across the top of his boat. 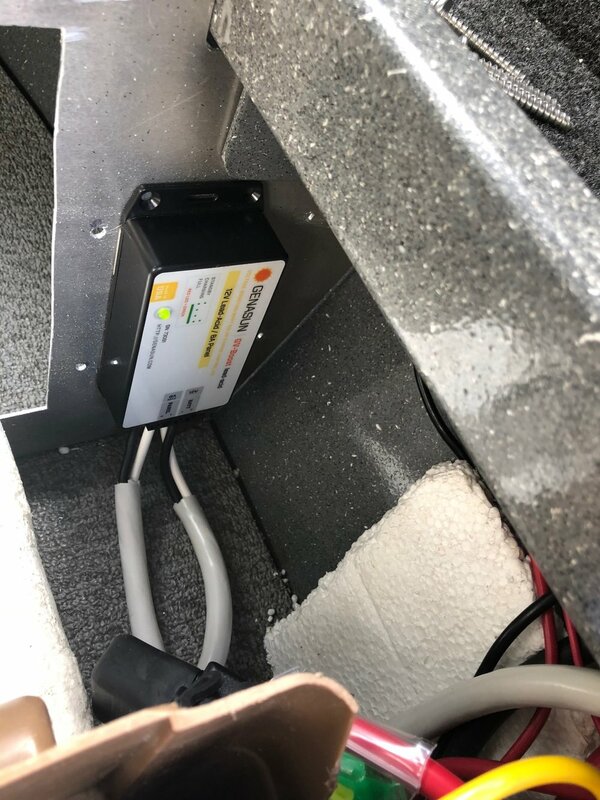 After connecting the panel we notice that the voltage differential between the panel and the battery was too low for conventional charge controllers and the system would only have worked on very cold days when the battery was extremely low. To solve this, we used a Genasun GV-Boost charge controller that can take any input from 5V-63V and feed current onto a 12V battery bank. The controller worked perfectly and quickly brought his battery bank up to a full charge.